A few simple ingredients can come together so easily to create a delicious little coconut treat. 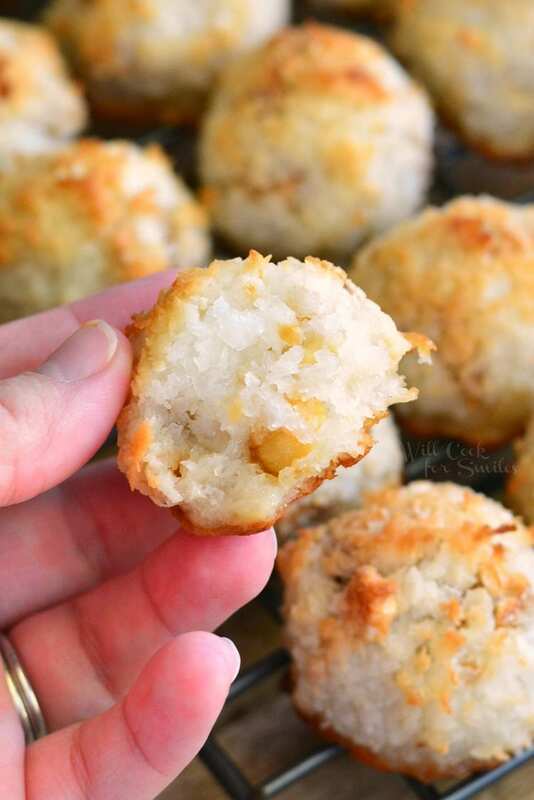 Coconut Macaroons are a heavenly little treat for everyone with a sweet tooth. These Coconut Macaroons are extra special because I’ve added some cashews and a touch of sea salt. I love, love, love coconut. 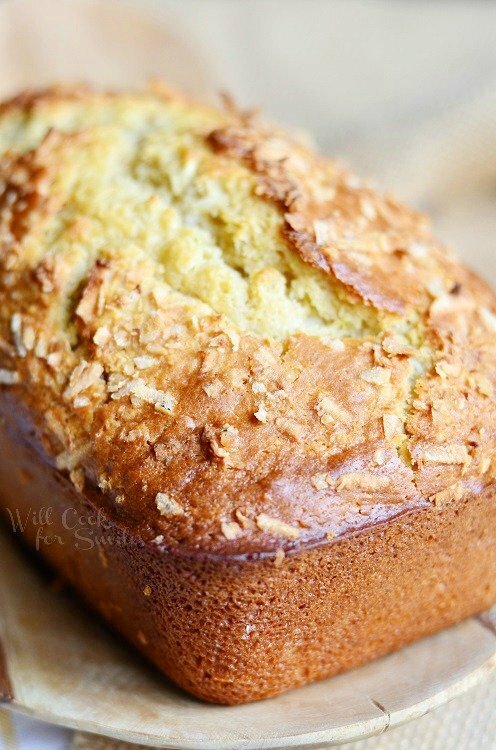 I probably say this in every coconut recipe post but I can’t help it, coconut is the best. I actually have some of the best childhood memories that involve Coconut Macaroons. When I was little, I lived with my grandparents for a while. My grandfather worked in the city 5 days a week and came home for weekend. Every Friday night, he would get home late, usually after my bed time. I would pretend to be asleep until he got home, I would lay there and listen for him to come home and ask my grandma if I was asleep yet. Of course, I wasn’t! I “just happened” to still be awake. I’d run out because I knew exactly why he was asking. He had a treat for me. Every Friday night, he would bring me a pretty little box of coconut macaroons. I looked forward to them all week! 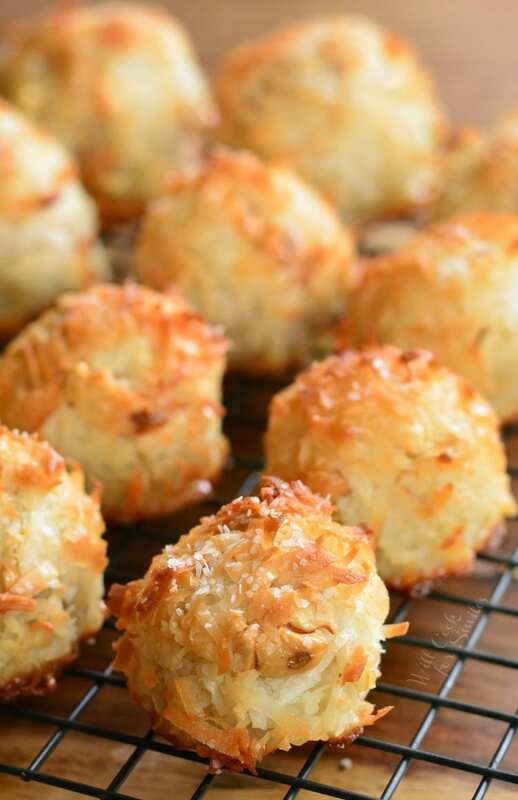 The most common variety of the classic Coconut Macaroon is the one that is dipper or drizzled in chocolate. Chocolate and coconut goes together the best. 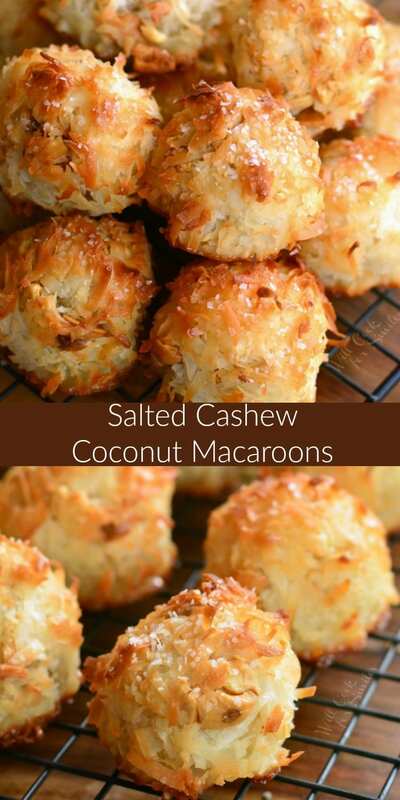 Coconut also goes great with cashews and I’m obsessed with the sweet and salty flavor combination in a sweet treat. Adding a pinch of salt on top of coconut macaroons is optional, but you just have to try it. It’s scrumptious! 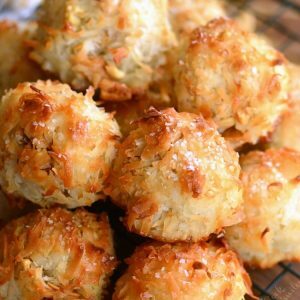 I’ve tried several ways of making coconut macaroons and this one is the best so far. 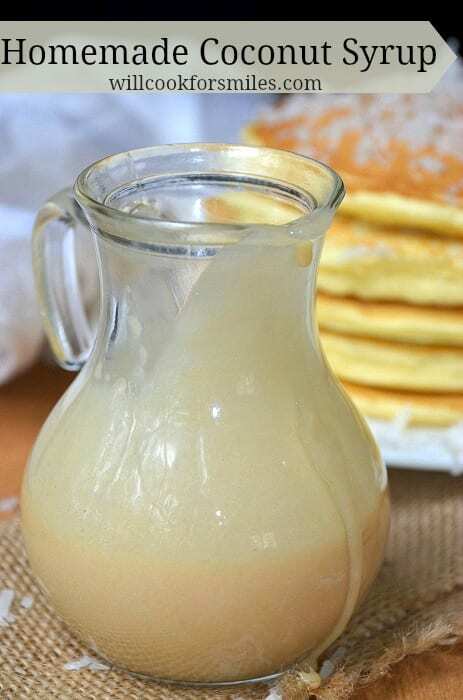 I like using sweetened condensed milk okay but I prefer using egg whites and corn syrup the best. 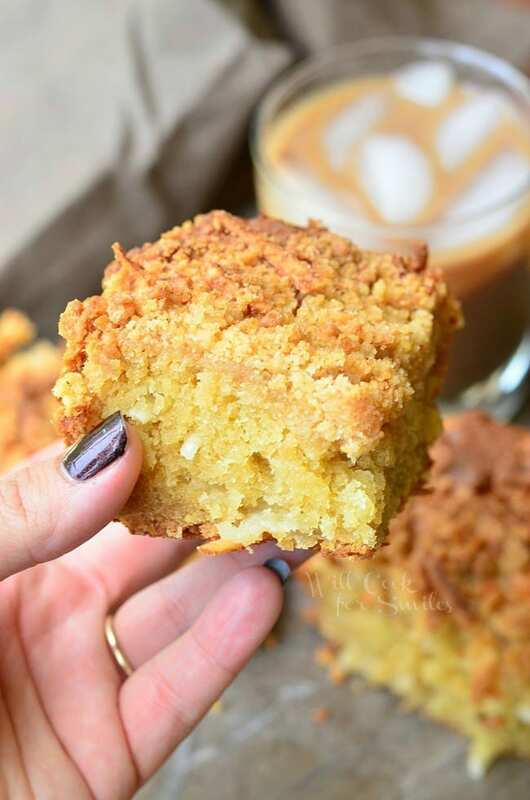 If I’m making coconut macaroon brownies, I would use sweetened condensed milk. If I am making coconut macaroons by themselves, I prefer the egg whites as a binder. 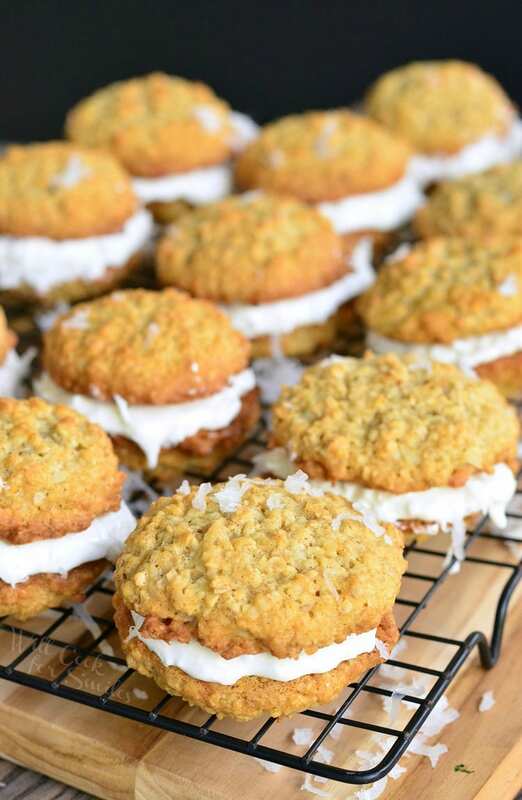 The best tip for making coconut macaroons is blending the coconut flakes. I used to use the coconut flakes in the macaroons as is but the flakes tend to be so long, the texture becomes too chewy. Blending coconut flakes into crumbles gives these treats a pleasant texture that is easy to chew. It also helps mix the batter more evenly. If you don’t want to use light corn syrup, you can use tapioca syrup instead. 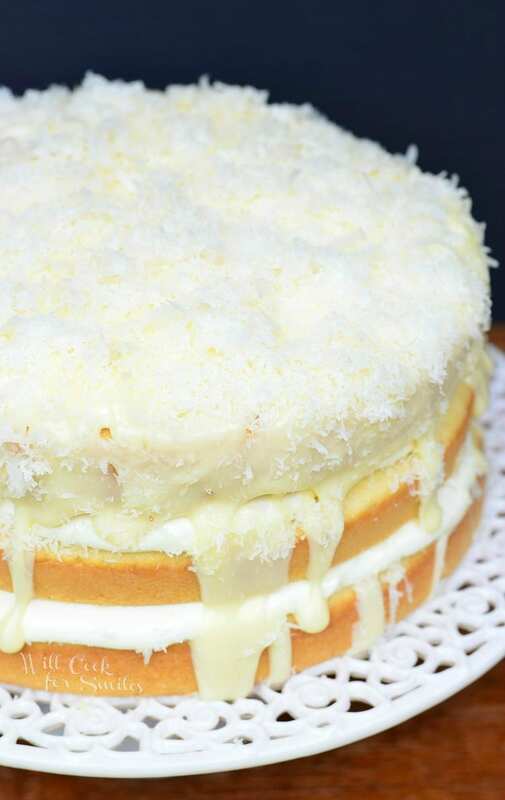 After you’ve blended the sweetened coconut flakes, they are simply mixed with the frothy mixture of egg whites, sugar, and corn syrup. Bake them and enjoy! Delicious and easy coconut treats made with an addition of cashew nuts and a touch of sea salt. 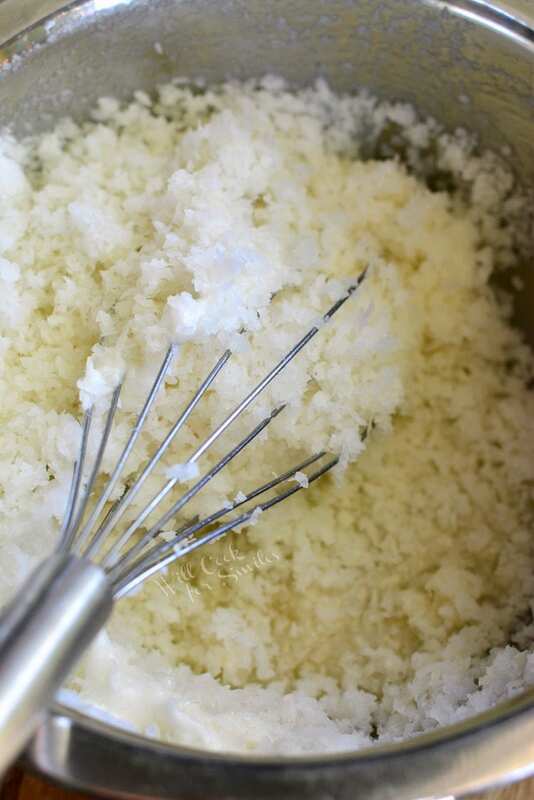 Pulse sweetened coconut flakes in a blender or food processor until it's finely minced. In a large mixing bowl, vigorously whisk egg whites, sugar, and corn syrup until frothy. Add coconut flakes to the mixing bowl and mix well. Add cashews and mix until evenly incorporated throughout. 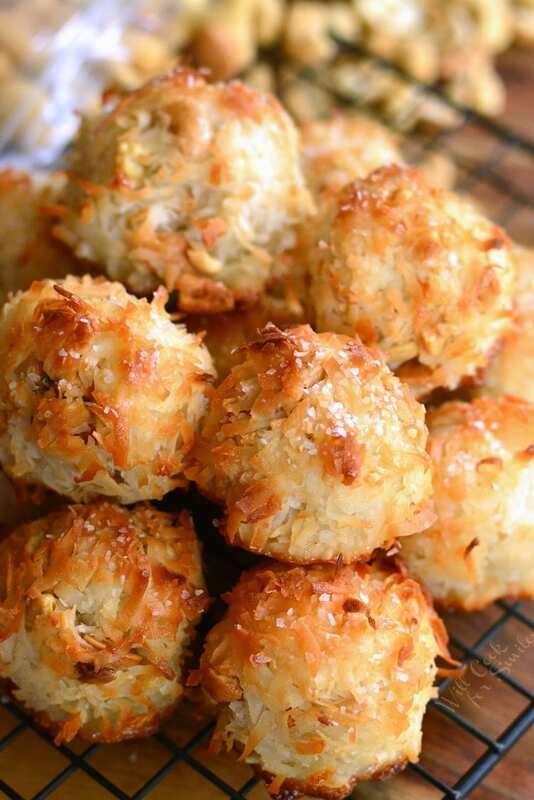 Sprinkle each coconut macaroon ball with a little bit of sea salt on top. Bake for 20-24 minutes, depending on the side of the ball.